Siddharta Almeida and Bruna Takahashi have emerged victorious in the Junior Mixed Doubles competition at the 2017 Pan American Junior Championships following a straight games triumph against Carlos Ishida and Alexia Nakashima in the final (11-7, 11-1, 11-8), which took place on Saturday 24th June in Buenos Aires. Second seeds for the tournament Siddharta Almeida and Bruna Takahashi booked their place in the final after the Brazilian duo edged through their semi-final encounter against Canada’s Jeremy Hazin and Alicia Cote across five games (14-12, 3-11, 11-5, 10-12, 11-2). 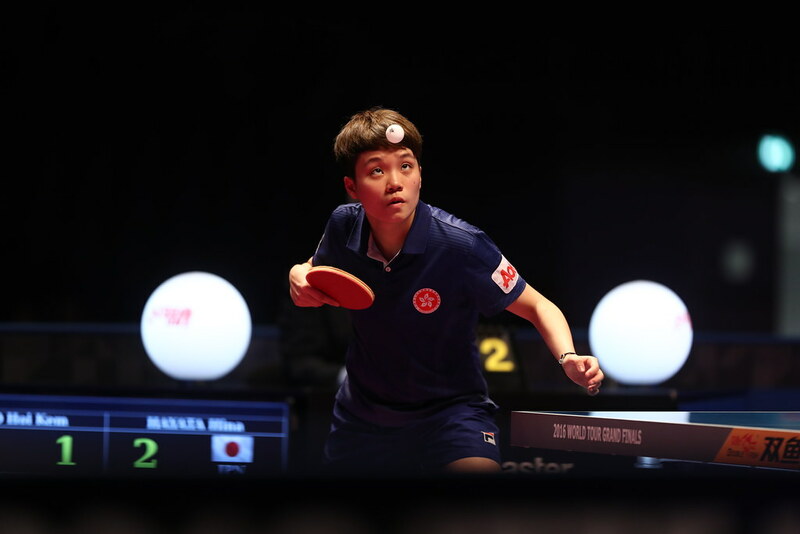 The other Brazilian partnership to reach the competition’s title match was the sixth seeded pairing of Carlos Ishida and Alexia Nakashima, who delivered another strong performance at the event. Eliminating the top seeds Kanak Jha and Crystal Wang in the previous round, Carlos Ishida and Alexia Nakashima sealed their spot in the final with a fifth game victory over Victor Liu and Rachel Sung of the USA (6-11, 11-6, 11-9, 7-11, 11-6). While Carlos Ishida and Alexia Nakashima demonstrated their impressive skills in the prior rounds of the tournament, they struggled to keep up with their opponents in the final as Siddharta Almeida and Bruna Takahashi comfortably prevailed to lift the trophy. Siddharta Almeida also enjoyed a positive outing in the Junior Boys’ Doubles competition as he and his partner Sergio Bignardi successfully negotiated their round of 32 encounter against Chile’s Denys Fierro and Jorge Paredes (12-10, 14-12, 7-11, 11-8) to move through to the last 16. El Salvador’s Oliver Mendoza and Oscar Villalta are also through to the next stage of the tournament following their win against Mikael Muñoz and Layan Neumann of Mexico (11-13, 11-8, 11-6, 11-3) and will face the top seeds Sharon Alguetti and Kanak Jha in their next encounter. The host nation will be represented in the round of 16 of the Women’s Doubles event, after two of the Argentine pairings came through their respective Round of 32 matches. Isabella Fragapane and Felicitas Saracho proved too strong for Marissa Alleyne and Kenady King (11-5, 11-7, 11-3), while the other Argentine partnership of Valentina Parola and Daniela Zapatero also saw off opposition from the Barbados by registering a straight games win against Jazel Griffith and Janae Lewis (11-9, 11-7, 11-5).